Warum heißt unser Kennel, "Beautyfield" und was bedeutet "Kennel" ? Wir wohnen in unmittelbarer Nähe des Jagdpark "Schönfeld" mit seinem kleinen Jagdschlösschen "Park Schönfeld". Übersetzt heisst dies "Beautyfield". Es ist das Schloss auf dem unteren Foto. Kennel ist die englische Bezeichnung für "Zuchtstätte". Beautyfields ? Where comes the name from ? Well, as real lovers of british dogs, we had only one choice! 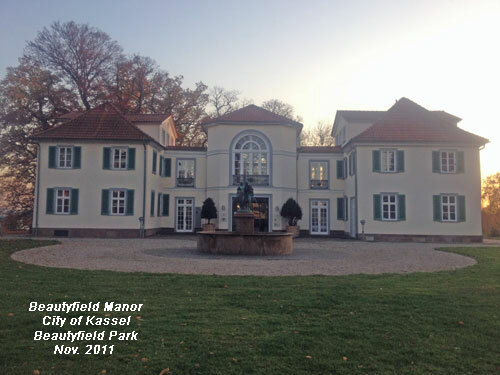 An english name and because living near an old hunting castle called "Schönfeld" we translated it into english. In the english version of our page we´ll present our dogs, real Dual Purpose Retrievers, which are work in the field and have sucess in the showring. You can see the castle "Schönfeld" on the left picture. 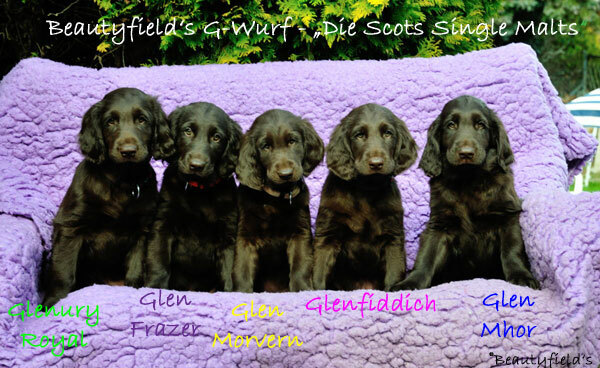 Furthermore we´ll give you an overview who we are, what our intentions for the breed are and what will our plans for litters of Flatcoated Retriever in the future. But you´ll find although a few links to other retriever clubs, breeder and owner and to Flatcoated related sides over standard and handling. From time to time I publish some news, but if you get the newest information, visit us at Facebook.